Emma is also a member of the firm’s Trust & Estate Law & Administration Group and advises on estate planning and administration matters. She works closely with clients to design and implement sophisticated strategies integral to family wealth planning. Prior to joining Fox Rothschild, Emma was an associate in the litigation practice of a Pennsylvania law firm. Emma was also a law clerk to the Honorable Alan N. Cooper and the Honorable Joelle P. Hitch of the Family Court of Delaware. During her clerkship, she drafted custody, adoption, termination of parental rights, guardianship and ancillary orders pursuant to the Delaware Code. During law school, Emma was a legal intern to Commissioner Chai R. Feldblum at the Equal Employment Opportunity Commission. She also served as a certified legal intern for a Pennsylvania law firm and the Penn State Law Family Law Clinic. Additionally, she served as research editor for The Yearbook on Arbitration and Mediation. Emma spent a semester abroad, with all instruction in German, at Albert-Ludwigs-Universität in Freiburg, Germany. She was also captain of the Division 1 softball team at Lafayette College. 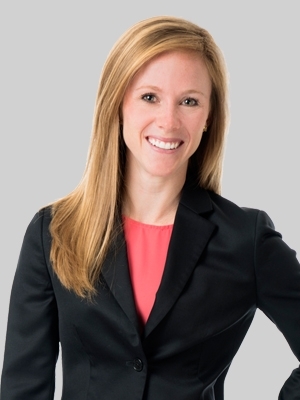 Emma serves as Treasurer of the Young Lawyers Division of the Bucks County Bar Association, and Secretary of the Women’s Law Division of the Bucks County Bar Association. She is also an active volunteer with Philadelphia VIP, a regional hub for pro bono legal services, representing low-income Philadelphians in a variety of litigation matters. In her spare time, Emma volunteers as an assistant coach for an 18U college-showcase softball team in Newtown, Pennsylvania.